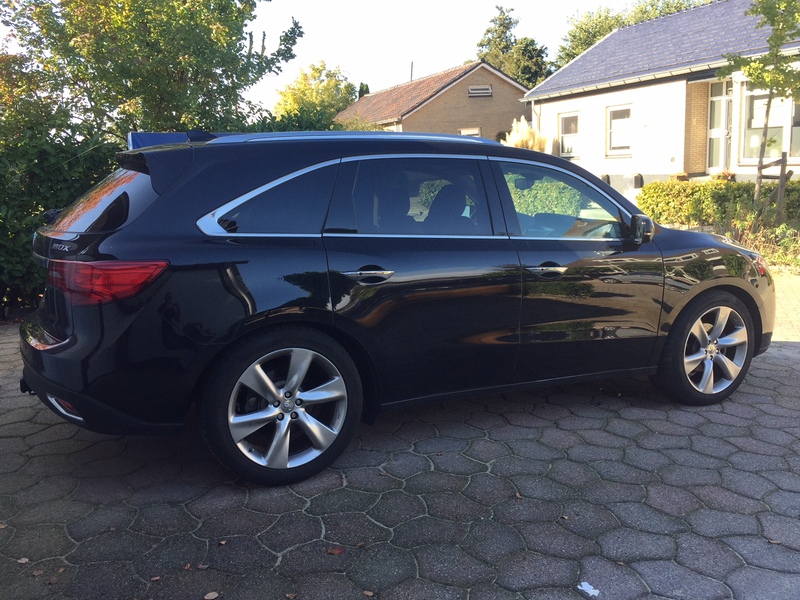 Yesterday I finished installing BC coilovers on my MDX. 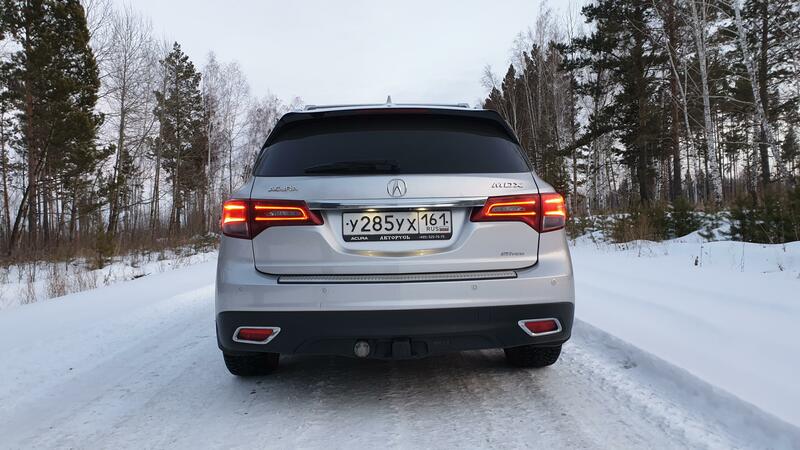 Reason for this is that even though in general I really do like the MDX, I don't like the wobbly suspension and soft leaning cornering of the car. I must say that first impressions with the BC kit is very positive. 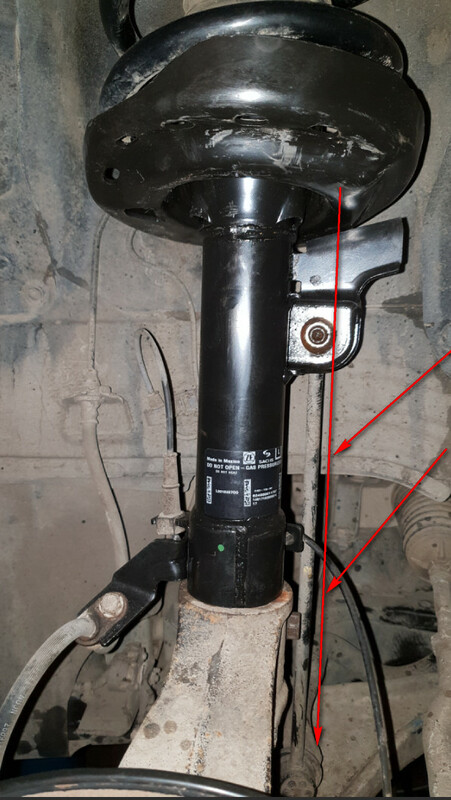 It was a pain to get the old struts out of the car, installing was a lot easier as the BC units ar a lot smaller and shorter. I set the ridehight as high as possible, didn't want to lower too much, ended up with lowering the car 1 1/4 inch all round from standard hight, looks good. The units came with factory set dampening at 8 of 30 clicks from full hard which seemed a bit too much for my taste, so I changed the setting to 15 clicks from full hard to try out. I still have to figure out how to get to the adjustment of the rears after the install, but for now I am trying out how it is at this setting. - cornering is way better, it goes through corners almost like a good sports sedan, really what I was looking for. Handling overall is very much improved. So first impressions are really positive, this was what I was looking for in way of better handling without sacrificing too much comfort. tredog00802 and Mdx-4me like this. yikes, 1.25" lower? 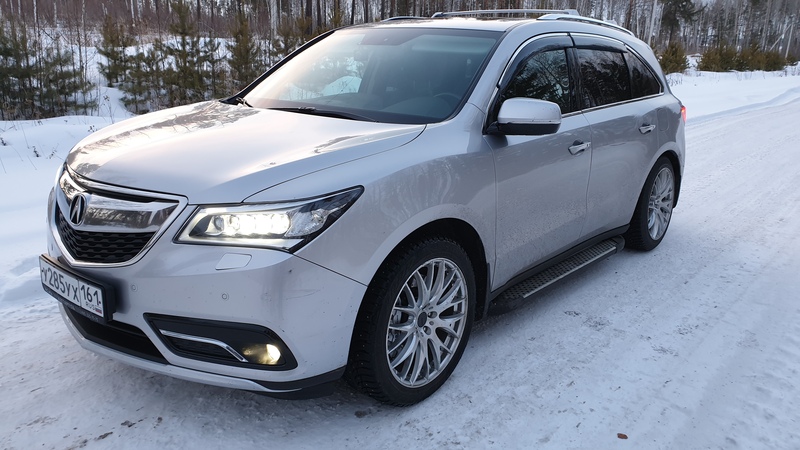 The MDX is too low, already, imo. Do you happen to know what the service period is on these BC COs? I'm tempted to switch when these struts wear out or somewhere around 60k miles but prior experience with COs is that the service requirements is sometimes pretty frequent and the cost associated (~$500) made them kind of more hassle than benefit for just DDing. Also, did pgeorg get you the info about the adjustment extenders? BC factory warranty against manufacturing defects is just 1 year, so not very long. 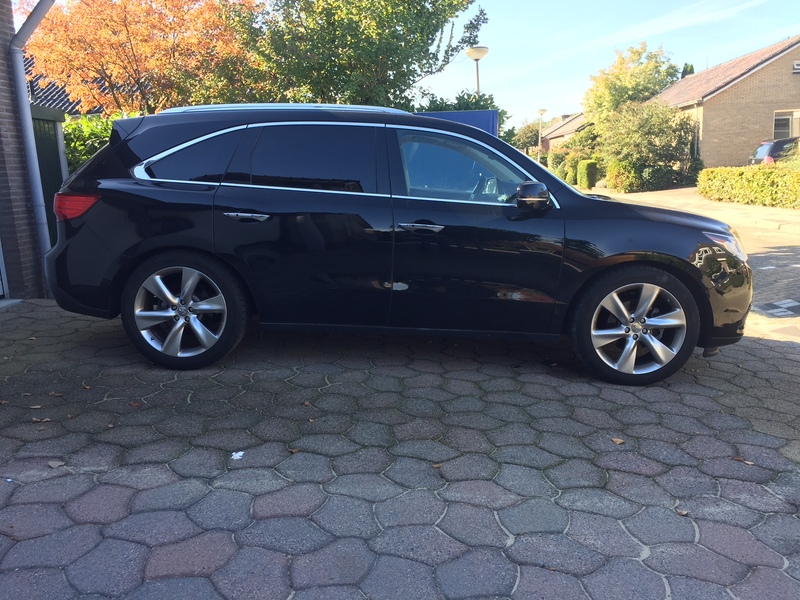 But hey, choice is very limited, as there are just 2 manufacturers making kits for the G3 MDX: BC and Megan, which seems to have less good reviews than BC..
Yep, I don't like clearly lowered cars either (those where part of the tires are in the wheelwells). This is why I set the coilovers as high as possible, but that still meant a 1 1/4" drop (I think with this kit you could drop the car 3-4 inches if you wanted to, not my thing..). However, as the wheelwell gaps above the tyres were quite big to start with, this means that even in the 1 1/4 " lowered stance a gap between wheelwells and tires remains, not giving the obvious lowered look. Stance as is now, looks good and acceptable for me and ofcourse the lowering means lower gravity point, thus better cornering just as result of the lowering..
And the sportier characteristics of the BC shocks and springs adding a lot more cornering sharpness to this. 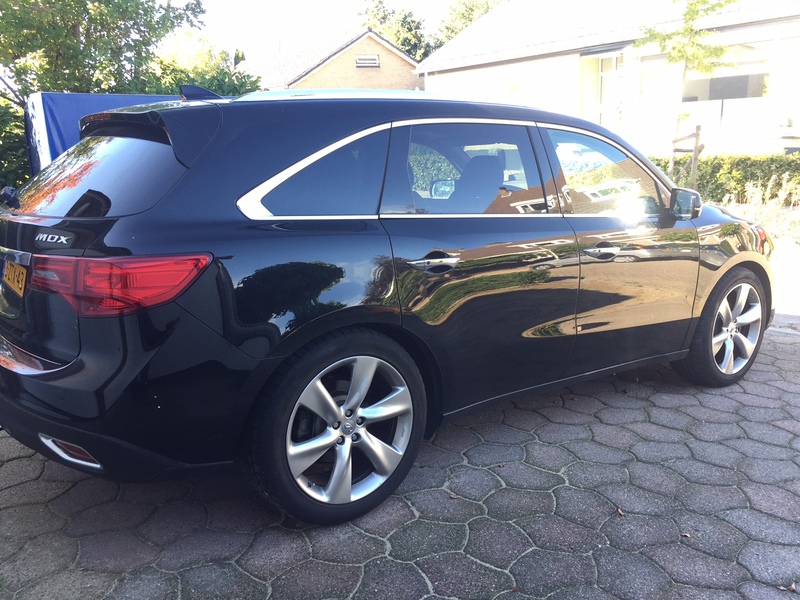 Hight like this is nice I think, but I wouldn't want it lowered more..
looks very nice, i am also considering going with BC coilovers, as the ride is to wobbly and soft. by the way what spring choice did you go with, if i'm not mistaken they also offer swift springs as an option which was bit more stiff. 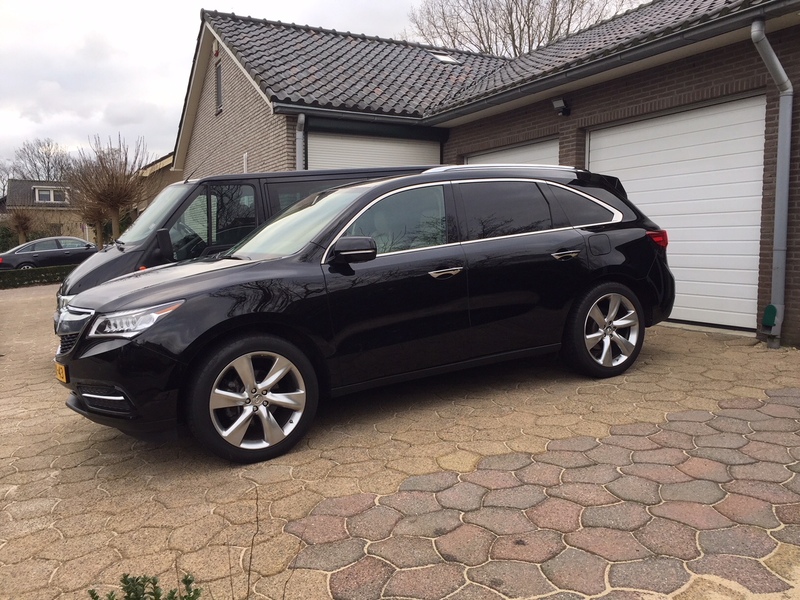 Keep in mind that I am in Europe, where the MDX was never sold. I went with the standard BC setup. Hello, I ordered myself the same installation kit, could you share advice on how to install them correctly? Am sorry to say that I am in discussion with BC about the kit, as the coilovers are making thumping/cloncking sounds (is that correct Englisch?) on all 4 corners when driving on uneven pavement, over the last 2 months this is getting worse. Ofcourse BC are quick to respond that there must be either a installation error made by me, or stabaliser rubbers/ endlinks must be worn/ making the noises. I checked, and everything is tight, no play to be found in these parts and as before installing there were no noises with the OE parts, also not very likely. As I wanted to make sure of myself, I had my race mechanic who is a highly experienced allround mechanic check things and he concluded the same: everything installed correctly and no worn rubbers/ endlinks parts and no play.. He performed a small by hand test of the coilovers on the car by lifting the wheels about 2" off the ground, having them hang free, put a breakerbar between the lift plate and underside of the tire and moved the bar up and down to see how the the wheel/ suspension would resist/ dampen the movement. It turned out that he could quite easily make the wheel/coilover jump up and down about an inch without seeing the shock dampening this movement and without the car itself moving much. 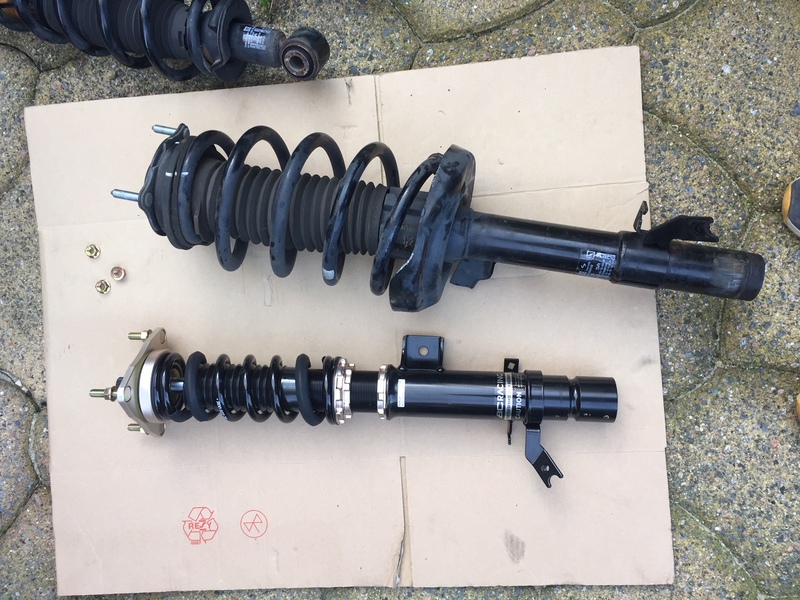 He told me in his opinion this was strange/ unusual, the coilover should not be pressed in so easily and not move out without any visible resistance/ dampening by the shockabsorber. He thinks something may be wrong with the short dampening capabilities of the shocks, possibly having the wheels jump on uneven pavement due to a lack of short dampening, thus causing the cloncking/thumping sounds. subscribed. i might be getting my wife '15 in a few months and prefer a more firm ride. I am in a conversation with BC Racing about R&D for a different vehicle and your issue has me concerned. Please update. In general, I did not get any help from the owner of the topic, and the answers, as a result, I had to do everything myself. I managed to completely install the entire suspension from the manufacturer of BC Racing, I’m not very happy with the support of BC Racing, because they don’t even have instructions on installing our cars, so don’t wait for help from them! they are simply silent! 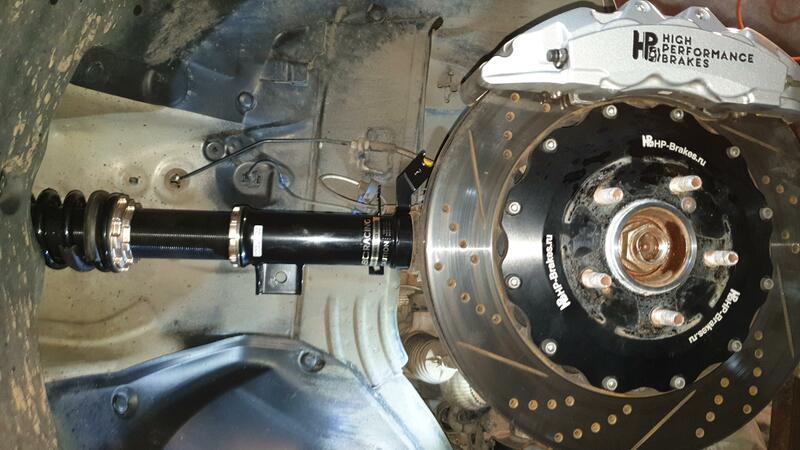 As a result, the suspension is installed, there are no rolls, I made adjustment at the back of 5 turns in front of 5 turns, I am satisfied, now it’s not going at all like on rails 220 kilometers per hour This suspension is 1000 times better than the original! Concluded for myself that you need to put pneuma to adjust the clearance, in general, I am very satisfied!